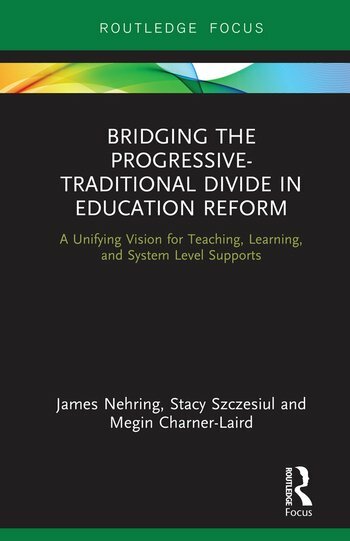 This book brings together a variety of connected voices which consider potential ways forward for school reform. By demonstrating how the ‘subject-centered’ and ‘student-centered’ models of education can, and have been working together in various contexts, the text sets out a compelling case for an emerging movement that unites ideologies and pedagogical traditions which have traditionally been considered to be at odds with one another. In drawing from historical sources, the full range of contemporary research, and a series of investigations led by the authors, this book documents the deep back-story of school reform, and explains the powerful and largely unacknowledged consensus on what constitutes excellence in teaching and learning. This book will be of great interest to researchers, academics, and postgraduate students in the fields of school reform and educational leadership. It will also appeal to graduate students, researchers and postgraduates in the fields of history of education, educational leadership, teaching and learning, and curriculum studies. PART II: Why Don’t All Teachers Teach This Way? James Nehring is an associate professor of Educational Leadership in the College of Education at the University of Massachusetts Lowell, USA. Stacy Szczesiul is an associate professor of Educational Leadership in the College of Education at the University of Massachusetts Lowell, USA. Megin Charner-Laird is an associate professor in the School of Education at Salem State University, USA.